Nevada Fine Art LLC is a private fine art dealership founded in 2016. We specialize in the sale and purchase of original fine art by historically significant artists of Nevada, California, and the Southwest. Our collection includes established contemporary artists who we believe are continuing the legacy and traditions of the historic masters, and who deserve attention from discerning collectors, interior designers/stylists and art institutions. Coming soon — A new section of our website called Sunfisher Gallery will focus on Old West & western originals. Our goal is to fulfill a desire expressed by Joe Beeler at the 17th Annual CAA Exhibition in 1982: …to inspire people to appreciate the West, as it is and as it was. …to be their eyes, so to speak — the medium through which they come to an understanding of the essential nature of this special part of America. Nevada Fine Art owner R. Russ Lindsay is an authority on the life and artwork of Nevada artist Robert Cole Caples. In 2006 Russ successfully nominated Caples’ home and studio in Dayton, Nevada, to the State Register of Historic Places. 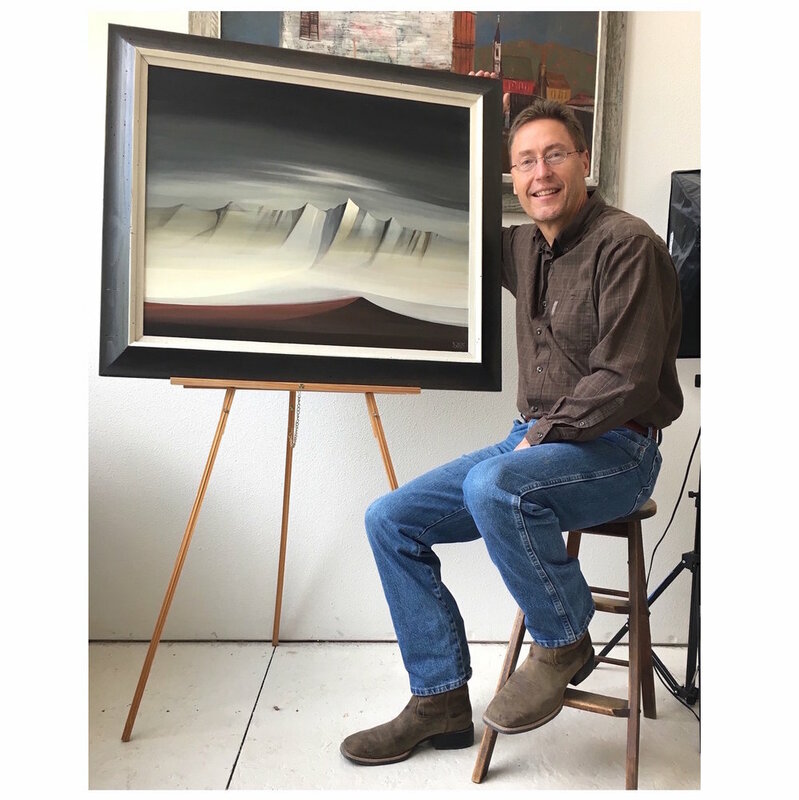 He later co-curated the traveling exhibition “Robert Cole Caples: Rooted in Nevada” as part of the Nevada Touring Initiative’s Traveling Exhibition Program. He authored the exhibition’s education guide and in 2007 penned the article “Remembering Robert Cole Caples” for the winter edition of the Nevada Historical Society Quarterly. We are constantly seeking original works by important historic and established contemporary artists that conform with our standards of quality and specialization. We encourage and appreciate inquiries, and welcome opportunities to source and acquire works privately. Inquiries can be emailed to info@nevadafineart.com. "It’s there in the light-rinsed atmosphere, the brush strokes he permits us to see, up close, for exactly what they are—hand worked flashes of pigment, the very passage of the bristles visible—and then, at a distance, the miracle…"